Dim - Cineo's Photo-Accurate Dimming maps the 0-100% dimming curve to actual camera stops for precise output control using the MASTER control locally or on the first DMX channel. 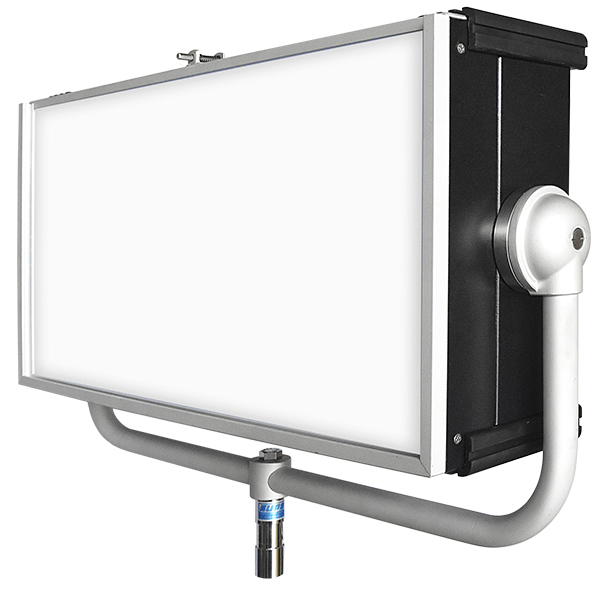 CCT - For colour-accurate white light, choose the CCT as you would with any Cineo fixture, using the CCT rotary control or the second DMX channel. 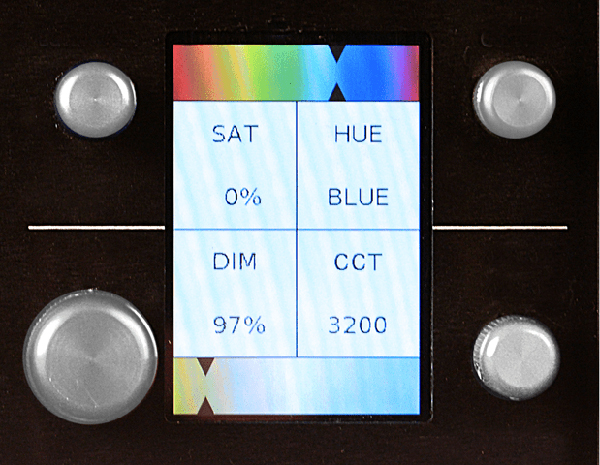 Saturation controls the amount of saturated colour to be added to the white light, from full white to fully saturated colour, managed on the third DMX channel. Hue - To optionally add saturated colour, the HUE control adjusts the hue, the colour of which is displayed on the control panel, or managed on the fourth DMX channel. In addition to our proprietary phosphor-converted white light LEDs, we developed phosphor-converted saturated colour LEDs. These work with the phosphor recipes in the white LEDs to create a balanced, natural-looking spectrum featuring Cineo’s deep-red color rendering technology. The saturated colour LEDs use the exact same dies as the white LEDs, so all light emitting elements of the Standard 410 carry identical thermal stability, and perform over time with identical differential aging. So after years of service, colour stability remains consistent. The Standard 410 puts out up to 25,000 lumens of fully-controllable light and unbeatable colour. Colour constancy and flicker-free operation that will last throughout the life of the product. Measuring in at 24" x 12", the powerfully compact Standard 410 weighs less than 27 lbs. Our passive cooling system requires no fans, alleviating the convern over excess noise. 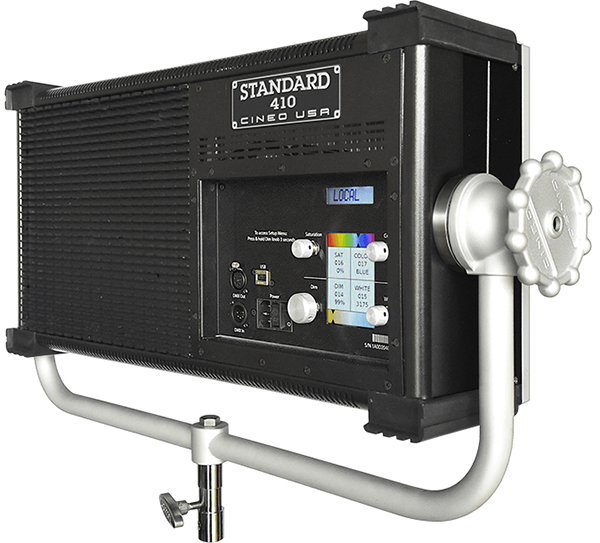 The Standard 410 provides fully-controllable colour without the inconvenience of gels. Input Power: 110-240VAC, 410 watts max.